News both Domestic and International from the week of March 1. A male paraglider died Monday in the Rattlesnake Canyon area after becoming detached from the tandem paraglider he was flying with his daughter. Top world headlines from this past week. An update on this week's international and national happenings. Top national stories for January 29, 2015. Top international headlines for January 29, 2015. 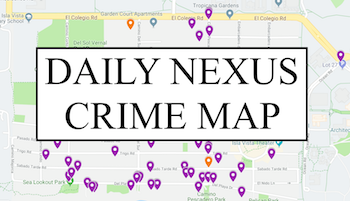 A 21-year-old UCSB student was stabbed at the house of Sigma Chi Omega on the 6700 block of Sueno Road in Isla Vista about 2:45a.m, following an altercation just outside the house. This weeks updates on news occurring on the national and international levels. 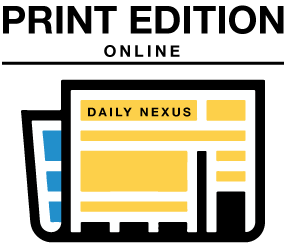 Daily Nexus highlights this week's national and international news. The nexus team ventures Del Playa Drive in search of the most unique costumes, along with questioning students on their experiences from the 2014 Halloween weekend. The Daily Nexus sits down to interview UCSB Men's Soccer player Nick DePuy.